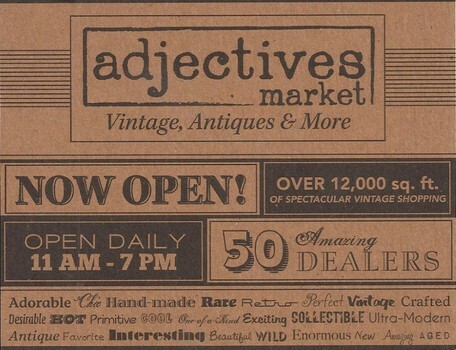 If you have yet to check out Adjectives Market, then you are surely missing out on one of the best and most unique vintage markets in Florida! Shop from among a variety of awesome retro furniture, clothing, home accessories, jewelry and more! With their large selection of high-quality antique pieces and great bargains, this is just the place to check out if you’re looking for something unique for your apartment space! As well, there are great pieces for those more ambitious individuals looking to revamp or refurbish items. Even if you didn't think you needed anything, you'll be sure to find something that catches your eye, so grab a friend and come browse the store right here in Altamonte Springs (located at 1215 Altamonte Drive).